Few hard drive disasters are as potentially serious as fire damage. 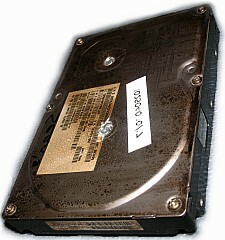 Fire-damaged drives need immediate treatment in a Class 5 clean room, and engineers need to have substantial expertise. 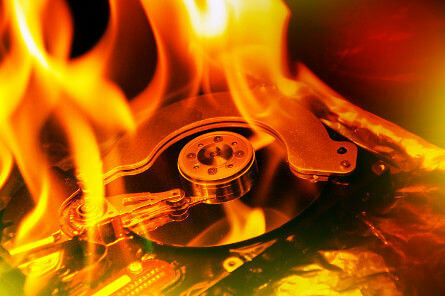 At Datarecovery.com, we specialize in recovering badly damaged hard drives, and each of our laboratories is fully outfitted to treat fire- and smoke-damaged media. Our engineers carefully clean each damaged drive to remove soot, ash, and dirt, working in a clean room to prevent contamination. We then analyze the media to determine whether the hard drive platters – magnetic disks that store data – are warped or otherwise damaged. Datarecovery.com has developed dozens of technologies for treating severe damage, and if hard drive platters are intact, we can fully recover all data even when electronics, read/write heads, and other components are completely destroyed. Our exact process will vary with the extent of the damage. Do Not Attempt to Operate the Drive Under Any Circumstances. This often results in irreversible damage to the platters. Contact Datarecovery.com for an Estimate. Pricing for fire damaged drives is arranged on a case-by-case basis, and our customer support team will be able to inform you of probable costs while answering any questions. Never Attempt to Clean the Drive. Data recovery specialists will be able to carefully and securely clean your drive, maximizing your chances of recovery. Home cleaning chemicals and water will cause further damage. Follow Our Packaging Instructions. Extreme heat weakens the internal components of a hard drive, so safe packaging is especially important. Pack the drive in an anti-static bag and about 5 inches of bubble wrap, taking care to ensure that the hard drive is firmly placed in the box and unable to move during transit. Ship the Drive As Quickly as Possible. We recommend FedEx or UPS overnight options for all fire-damaged media. If you are located near one of our laboratories, you can also drop your hard drive off. We have recovered data from hundreds of fire and water-damaged drives, and Datarecovery.com gives you complete support throughout the process. Call us today at 1.800.237.4200 to get started, or visit our fire damage article for more information and some photos.